In fact the title should be, “How to find the Most searched words and Most Popular Keywords on internet“. This is true because the most searched keyword changes from time to time. So there is no keyword remains on top of the most searched words or keyword on internet. The most searched word or keyword may very from search engine to search engine. 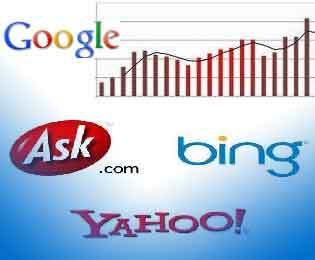 But the search engine keyword trending each day can have similar degree of fluctuations across multiple search engines. Millions of searches are conducted by millions of people on different search engine on internet.How to discover the most popular search keywords or topics? Major Search Engines provides some ways to provide the most searched words and phrases. Google Trends shows you the most popular searches each day with graphics analysis.Using Google Trends you can compare keywords globaly as well as across different geographical regions.you can see a snapshot of the fastest-rising searches for different points of time.The Hot Searches are updated hourly and Hot Topics are updated regularly. Interesting! . If you could analyze the trends from all these search engines, you can effectively tune up your keywords in your blogs..But analyzing the competition of the your niche keyword is very important. « How to Prevent Programs From Changing Default Browser Search Provider?